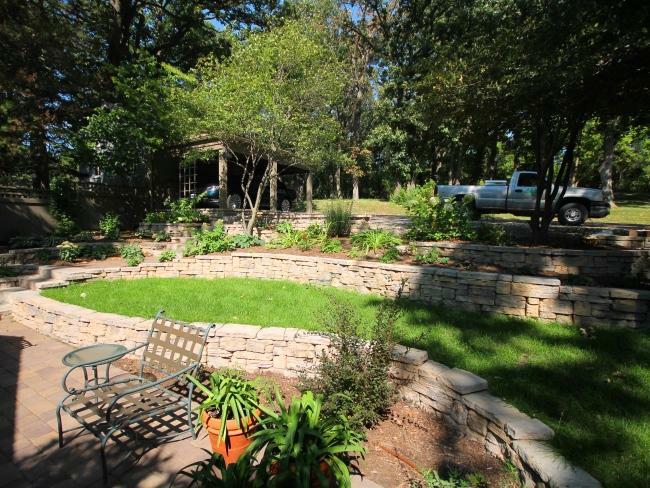 While also providing our clients with the best landscape design services in Spirit Lake and surrounding areas, we also offer Spirit Lake landscaping maintenance services. Since 2004, we’ve been known as “The Experts in Landscape” because we offer a full range of landscape services geared for the Iowa Great Lakes Region. Our landscape maintenance services include tree and plant care to maintain the beauty of your landscape, we also offer spring and fall clean-ups and lawn and planting beds. We can help give your home the best first impression by properly maintaining your lawn and landscape. Our expert staff also can add seasonal color with our container gardening service, just ask! 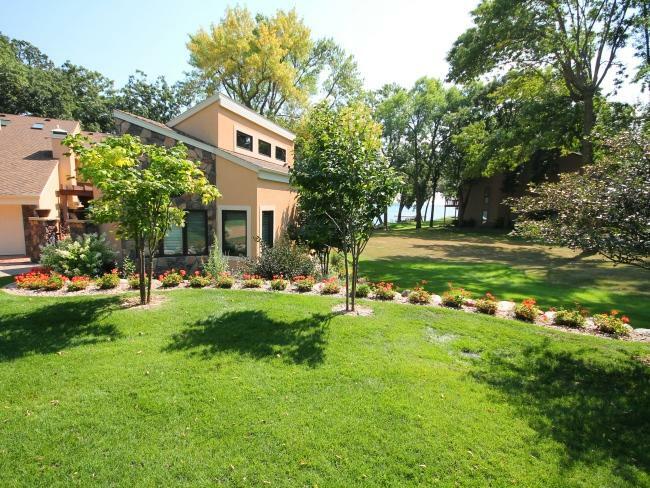 Spirit Lake and Okoboji landscaping has its own challenges, and we are familiar with this area and what plant material will thrive in these conditions and look wonderful in your yard many years in the future. Contact us today for a glimpse of what landscape services we provide and how we can design, install, and maintain the landscape of your dreams. Why Have 4 Evergreen Maintain Your Property? Why have 4 Evergreen maintain your landscape? Simply put is the time and effort you save, as well as the frustration that can evolve from working on your outdoor spaces. Would you trust an auto mechanic to do your plumbing? Or have a plumber roof your home? Probably not, you want to use an expert staff that understands what it takes to keep your yard looking perfect. With our college educated and trained staff, we focus on making sure your landscape becomes a forefront impression you give your friends and family or possible clients as they enter your property. From the simple weeding and planting bed clean up, to adding color and interest throughout your landscape, we are here to help you stand out from the rest! Many of our homeowners love the outdoors and spending time in their outdoor spaces. However being able to enjoy your home and landscape surroundings, the time to maintain and keep these looking wonderful requires time commitment. A time commitment that not everyone has. We would rather see our clients spending time with their family and friends in their outdoor spaces than working on them. 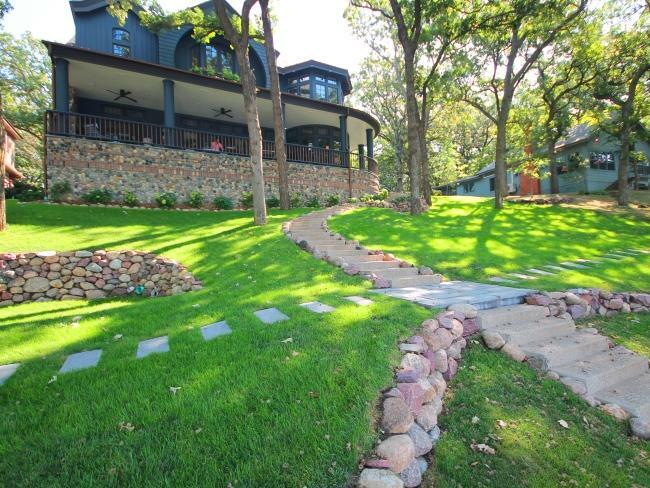 So if your looking to update your Okoboji lakeshore property with a new landscape, or adding a new area to entertain clients and friends in Spirit Lake, we are here to lend the extra hand. Contact us today for our affordable landscape maintenance rates. Looking for that extra boost or hand in the spring, or need the fall clean up of your yard, look no further. 4 Evergreen Landscape services clients in the Great Lakes and Northwest Iowa region. Our expert staff will come in with the proper tools and equipment to getting your landscape back into shape after a long winter or put the plantings to bed in preparation for the cold months ahead. Contact us today to find out how our expert staff and our spring and fall clean-up programs can improve your yard. Never around to get your landscape completely looking top notch? Or are you only here at your lake home a few times a year? 4 Evergreen Landscape provides the Lakes Area with monthly landscape services. From the simple everyday maintenance to the monthly checks of your property. Make sure your first impression of your property is a great experience by using the expert staff at 4 Evergreen Landscape and Design Services!